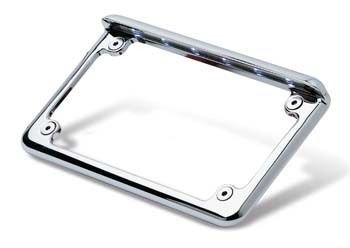 Upgrade your ride today with a Yamaha motorcycle license plate frame. Integrated turn signals and brake lights are part of these unique accessories. Consider a Yamaha Stryker license plate light that works as a decorative addition while providing functionality on the road. You want everyone to see you for both status and safety purposes. Every Yamaha license plate design comes from our manufacturing team at Radiantz. The best LED technology comes from the collaboration of both our production and sales departments. You can't find a brighter light on the road today. Our 20 years of experience have taught us plenty about the LED industry. A visible Yamaha Raider license plate light on a dark road is the only way to keep your bike flying safe through the years. Offering free shipping on orders of $150 or more, Radiantz is your partner when you need a Yamaha Bolt license plate light and more.